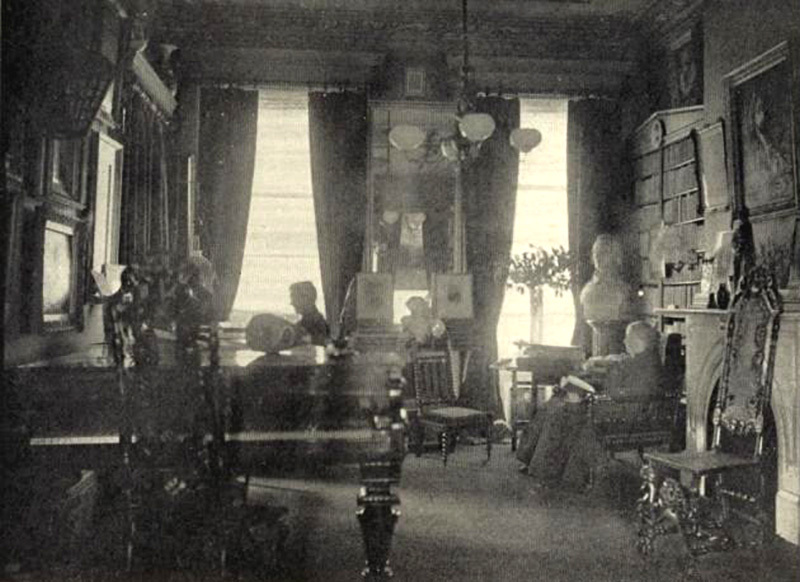 Sarah Orne Jewett and Annie Fields in their drawing room at 148 Charles Street, Boston. Courtesy of The Sarah Orne Jewett Text Project. When Jewett first submitted “An Autumn Holiday” to Harper’s Magazine, the story was called “Miss Daniel Gunn.” The editors nixed the original title, which hints (not very subtly) that the story is not what readers might think after skimming its opening pages. The story, as Marjorie Pryse summarizes in a recent essay, “appears, like much of Jewett’s work, to lack form . . . a roundabout effect of the narrator’s ‘tour of exploration and discovery’ and her unexpected visit with Polly Marsh.” The transition from one part of the story to the next is bewildering enough that readers might miss the parallels and themes common to both halves. I had started early in the afternoon for a long walk; it was just the weather for walking, and I went across the fields with a delighted heart. . . . . If you don't see the full story below, click here (PDF) or click here (Google Docs) to read it—free! "...it's a day that loves you." A quote that reveals how the author can write about this bizarre little community without being judgemental. Reflectong on my current condo-life makes me aware that this was a different time and a diffeerent place.